Aquatic Plant Specialists - delivering you the highest quality plants for your aquarium. Aquarium Gardens specialise in planted aquariums and aquascaping. We are proud to offer beautiful high quality aquarium plants at great prices. Our plants are available individually in pots, on driftwood and as complete aquarium plant collections. You will also find a range of CO2 equipment for superb plant growth to help you create a beautiful planted aquarium. We are stockists of TNC Fertilizer and TNC Liquid Carbon, essential for lush growth and healthy aquatic plants. 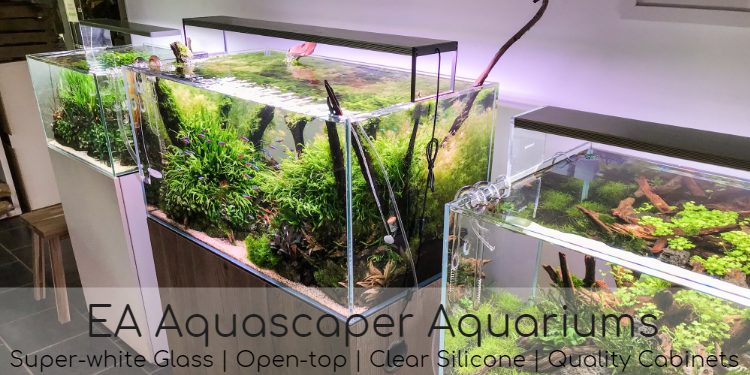 Furthermore, we stock a wide range of aquascaping supplies including plant tools, aquascaping wood & rock, planting substrates, LED lighting and shrimp care products. Information can be found on all our plants, as well as how to care for them. Should you have any questions please do not hesitate to contact us, we are more than happy to help.